The Islamic State jihadists have executed freelance journalist James Foley and posted a video of his beheading. In doing so they have brought us back 1800 years to remind us of what it sometimes costs to be a Christian and of what any Christian might at any time be called on to do – to sacrifice his life for his faith. Is Foley a martyr in the truest sense? Surely he is, and is now with God in Heaven. It may take time to verify but you and I can be absolutely sure that the jihadists of the Islamic State gave James Foley the option of saving his life by accepting their utterly false and evil vision of both man and God – just as the Romans tempted the Christian martyrs of their day. Foley, just 40, became their prisoner two years ago while covering the conflict in Syria. Prior to that he had covered the conflict in Libya and also found himself captive there. In that captivity he revealed to us the depths of his faith in an account which he wrote for a magazine published by his old university, Marquette, in Wisconsin. 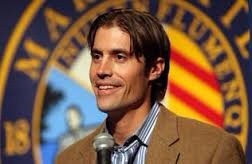 James Foley, may he rest in peace, is an example to all Christians and an example to all who would be Christian. He shows us that bearing the Cross of Christ is part of the deal – and that this, even in the age which we consider modern and enlightened, 1800 years after the early Christians were marched into the arenas, may call for the ultimate sacrifice. Foley wrote this account of a moment in his earlier captivity in Libya, revealing to us the virtues of a true Christian, as well as the meaning and the of faith and prayer. Unfounded or well-founded suspicions about the latest pro-abortion narrative?